MA-MUTT informs MUMM-RA that, as planned, the LUNA-TAKS are free. MUM-RA transforms MA-MUTT into a BERBIL so that he may spy on the THunderCats unnoticed, The MA-MUTT/BERBIL learns about the construction of the TOWER OF OMENS, a new ThunderCat fortress at the edge of the FOREST OF MISTS. MA-MUTT informs MUMM-RA of the plan to build the new ThunderCat fortress and MUMM-RA, not yet strong enough to battle, sends MA-MUTT to instruct the LUNA-TAKS to destroy the TOWER OR OMENS before it is completed. 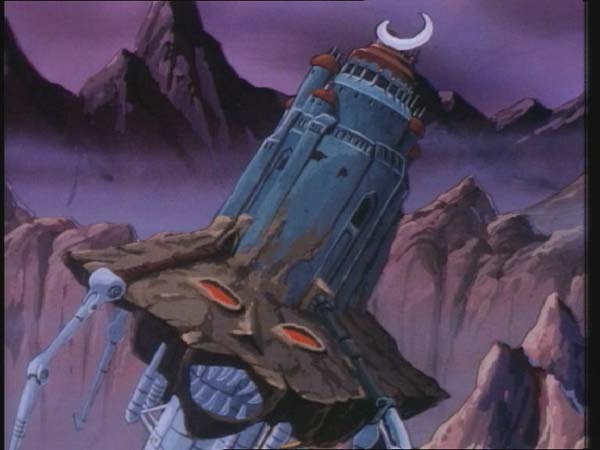 Disguised once again as MUMM-RA, MA-MUTT gains entry to SKYTOMB, informs the LUNA-TAKS of the Tower and the LUNA-TAKS attack. 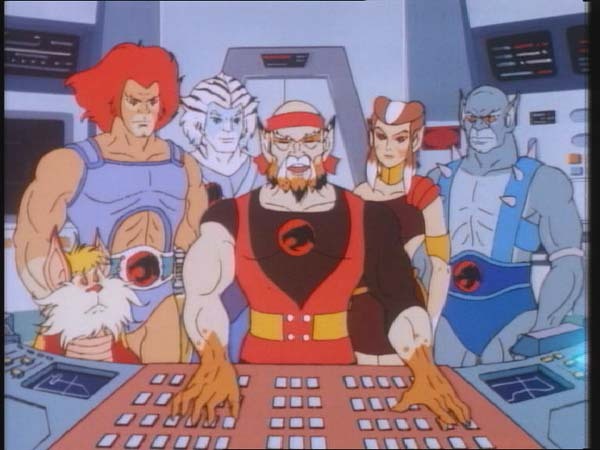 The ThunderCats counter-attack in the ThunderStrike. 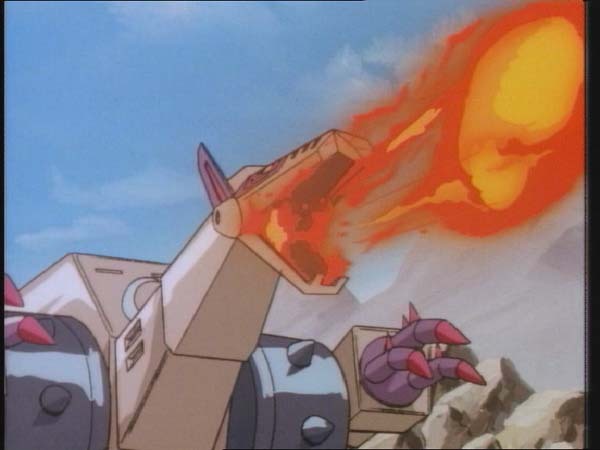 As LION-O summons the rest of the ThunderCats with the Sword, LYNX-O and SNARF rewire LYNX-O’s Braille Board so that it blasts SKYTOMB with electrical bolts, enveloping it in flames. The MUTANTS escape and the LUNA-TAKS, witnessing the explosion, escape in the LUNA-TACKER. The LUNA-TAKS board the damages SKYTOMB and flee, failing to complete their mission of destroying the TOWER OF OMENS. 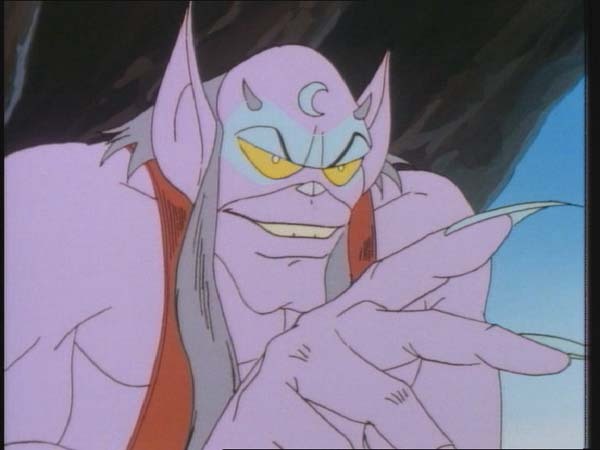 MUMM-RA witnesses the LUNA-TAKS defeat in his cauldron and pledges to ask the Ancient Priests of Evil to restore him to his full strength so that he can destroy the ThunderCats himself. Either MUMM-RA will get his wish and be more powerful than ever before, or the Ancients will deny his request and condemn him to burn forever. A strategy or plan of action increases our ability to achieve goals. Both the ThunderCats and their enemies acknowledge this need in this episode. The ThunderCats plan to defend themselves against the LUNA-TAKS by building a Tower of Omens. It includes a scanner connected to Lynx-O’s BRAILLE Board. Using Lynx-O’s extraordinary ability to see and know intuitively buy use of touch, the plan calls for him to serve as a central strategist to deploy the ThunderCats to turn back Skytomb. 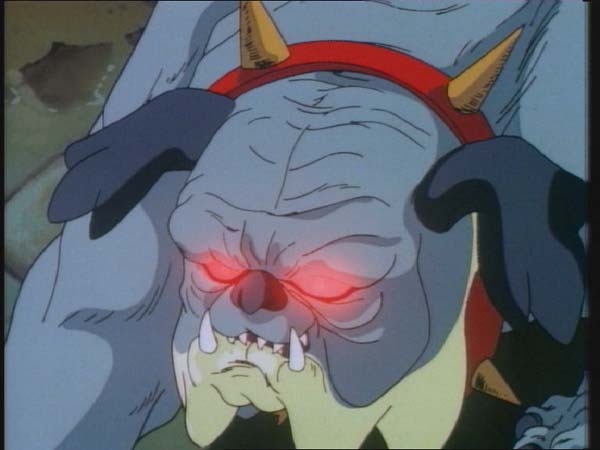 Mumm-Ra concedes a need to know the ThunderCats’ plans and sends Ma-Mutt as a spy. And the Mutants acknowledge their need to develop a plan against the Luna-Taks before they end up as slaves. Our own ability to solve problems or achieve goals is enhances when we take time to think before we act. Generating many alternative solutions to a problem allows us to choose the most appropriate one for us to achieve our goal. Rather than acting impulsively, we are better off first to consider alternative actions and make plans. Then, as we act, we can instruct ourselves in how we are doing in carrying out our plan. In this way, we are more likely to succeed and less likely to be set back by unanticipated difficulties. Finally some action! 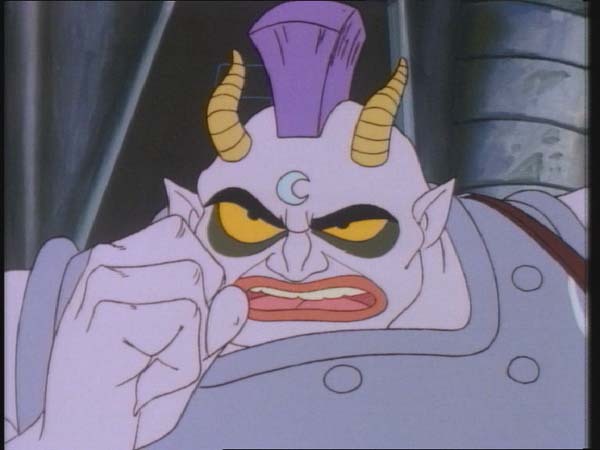 With the previous two episodes focusing on the inauguration of the ThunderCats saga’s newest additions, the deadly Lunataks, in this third installment the gloves are off and the audience are finally treated to some action. The episode commences with the still convalescing Mumm-Ra transforming Ma-Mutt into a Berbil to surveil the ThunderCats. This is an interesting and rather unorthodox tactic employed by Mumm-Ra as he usually spies on the ThunderCats via his cauldron. This new strategy is most likely an attempt made by the writer to give more screen time to the horrid hound, who was a toy on shelves after all. 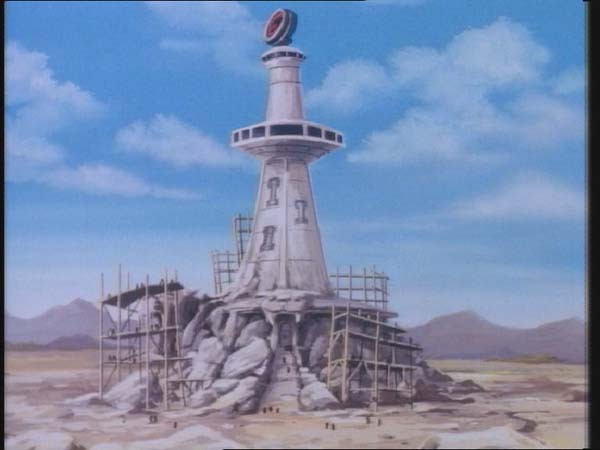 Meanwhile the ThunderCats are planning on erecting the Tower of Omens, a new fortress which would be the answer to the danger posed by the Lunataks’ Skytomb. 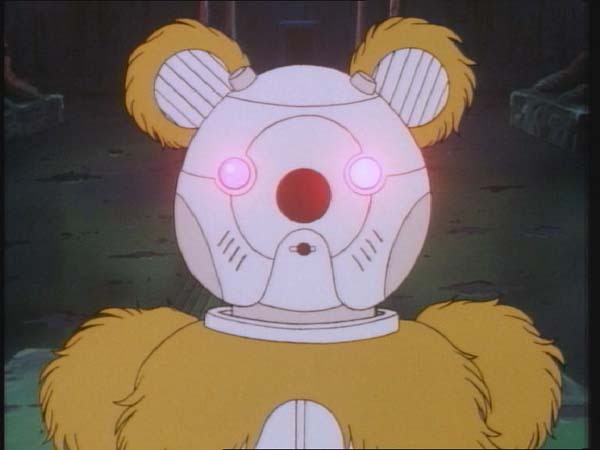 As they had done in “The Slaves of Castle Plun-Darr”, the ThunderCats employ the skills and bear-power of the Berbils to construct their fortress. Built at the edge of the Forest of Mists, the Tower of Omens would serve as a watchtower to observe the activities of the Lunataks. Transforming into his master’s image, Ma-Mutt flies to Skytomb and informs the new Plun-Darrians about these latest developments. The Lunataks decide to take swift action and destroy the Tower of Omens before its construction is completed. 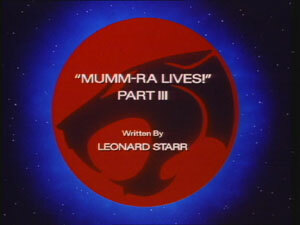 The Lunataks also reveal their intention to exact revenge on Mumm-Ra after they have disposed of the ThunderCats. The group dynamics of the Lunataks is a very precarious one. The level of distrust between them surpasses even that between the Mutants and it is a mystery how these volatile villains manage to stay and work as a group. What follow is the much awaited battle sequence. The Lunataks and ThunderCats finally clash in a no-holds-barred combat with both sides employing their newest vehicles and fortresses. The ThunderTank takes on the Luna Tacker while the Tower of Omens faces Skytomb. 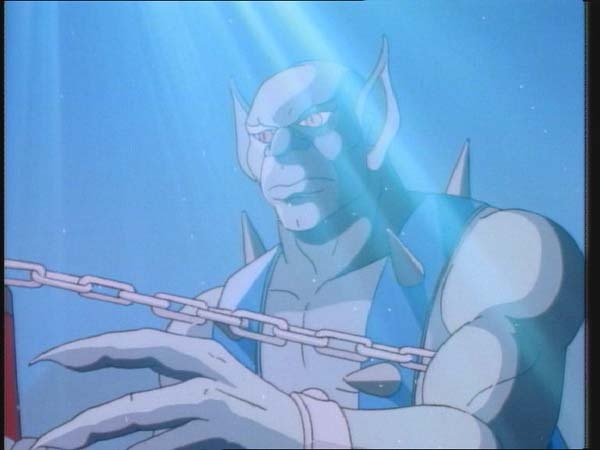 While in the previous episode Tug-Mug’s great strength and jumping abilities were exhibited, here we are shown Alluro’s mind-controlling expertise as he nearly overpowers Panthro. 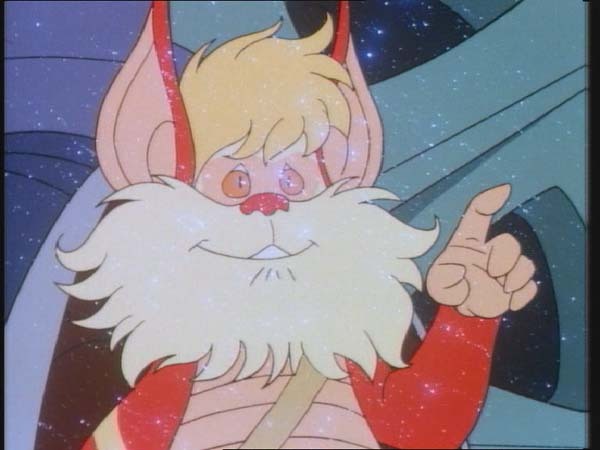 It is the blind Lynx-O with Snarf’s help who eventually wins the battle for the ThunderCats by pummeling Skytomb with energy blasts from the Tower of Omens. Lynx-O’s prominence in this episode and some of the dialogue that he exchanges with the other ThunderCats serves as a subtle but important lesson to the viewers. The moral here is that we should never underestimate those who are handicapped. Lynx-O, despite his blindness, displays exceptional skills with the Braille Board and makes full use of his other heightened senses to prove himself a worthy member of the ThunderCats . A brief focus on the Mutants during the battle scene gives an interesting insight into their mindset. 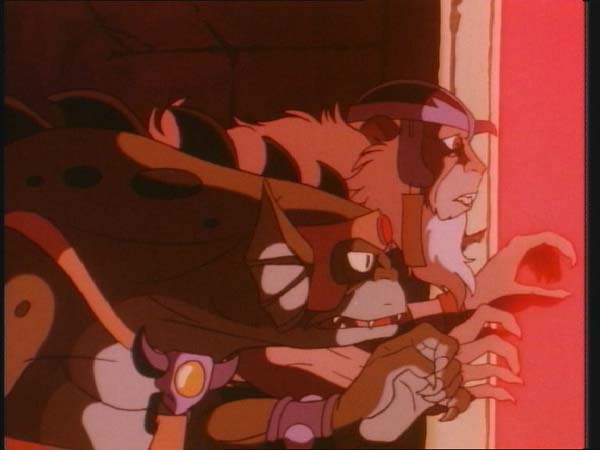 While the ThunderCats and Lunataks are locking horns, the Mutants choose not to join in the fight and instead plan to double-cross the Lunataks. If the Mutants had jumped into the arena, the ThunderCats would most certainly have lost the battle. This further stresses the importance of teamwork for success. Composer Bernard Hoffer continues to increase his repertoire by composing some brilliant new scores for this second season’s episode. Even though the new themes are completely original, they do possess echoes of the past ThunderCats themes and thus blend beautifully into the composition whilst maintaining the overall harmony. 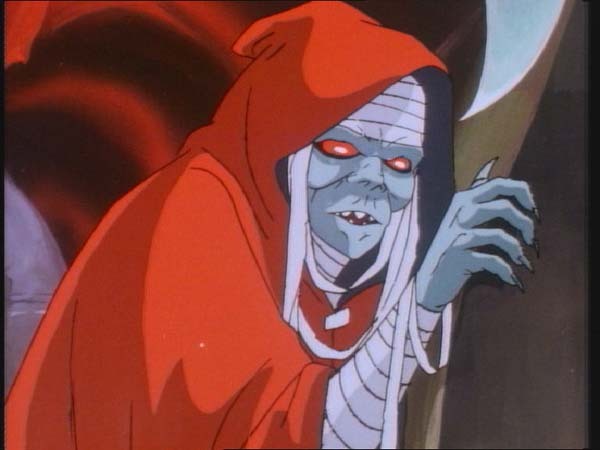 In this episode, Mumm-Ra changes Ma-Mutt into a Berbil while in “The Mumm-Ra Berbil”, he himself transformed into a Berbil. Snarfer makes a brief appearance in this episode. Here we are introduced to the Lunataks newest vehicle, the Luna Tacker. Even though a toy of this vehicle was planned by LJN and featured on many catalogues, it never went into production. Interestingly, Wilykit and Wilykat are both shown piloting separate vehicles (the Thunderclaw and Hovercat respectively). Normally the ThunderKittens only ride their spaceboards or journey as passengers in the adult-driven vehicles. The episode ends with Mum-Ra planning to ask the Ancient Priests of Evil to restore his power, a risk which could result in him being condemned to burn forever. This is no doubt an allusion to hell.